Merri Wilcox has finally achieved her greatest dream and opened her own hair salon. Life is bliss until Brighton Stansbury walks through her door. Growing up, Brighton was behind every bad thing that happened to Merri. She hasn’t seen him since high school graduation and could have happily continued like that forever. Tifani Clark grew up on a potato farm in southeastern Idaho with two brothers and two sisters. Because of her location, she had a lot of space to imagine and daydream and often pretended to be characters in books–like Scarlett O’Hara. She is married to the love of her life and is the mother of four fabulous children. When not writing, she enjoys playing the violin and piano and traveling to new places. I’ve wanted to be a writer for as long as I could remember. As a child, I read all the time. I wanted to create stories like my favorite authors. It took me a while to find a time in my life where I could fit writing in, and I’m glad I’m there now. Give us some insight into how your writing day/time is structured. I’m not sure if structured would be a word to describe my writing. Pretty much, if my kids are at school and there aren’t other pressing matters to attend to, I’m writing like a mad woman. Often, my husband has to work weekends. I get a lot of writing time in then, too. 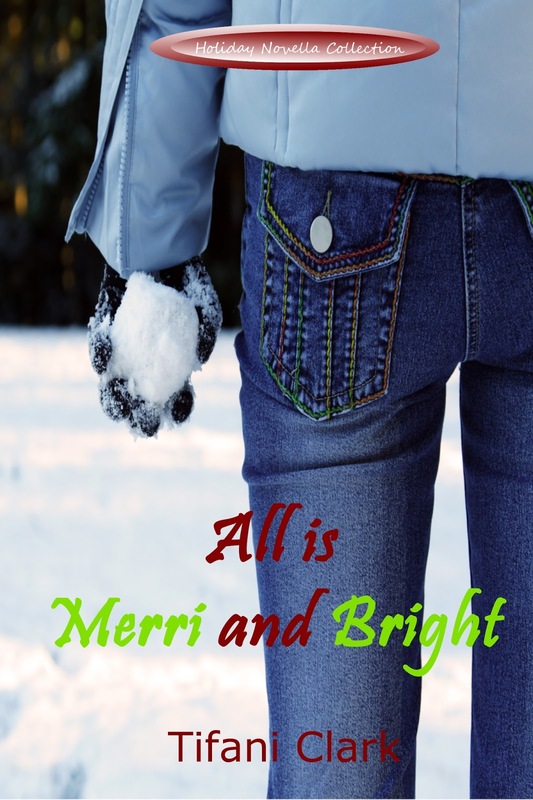 1Merri gasped when she saw who walked through the door of her hair salon four days before Christmas. Her hands clenched into fists and she barely stopped herself from chopping off a lock of Mrs. Baker’s hair in her surprise—or maybe it was dismay. Lacking any better ideas, she instantly dropped to the floor. “Merri, are you okay?” Paige, another stylist, called from across the room. “I’m fine. I just dropped a contact.” Merri cringed as she knelt in the wispy gray hairs scattered across the floor. Bad day to wear black pants. “But you don’t wear—” Paige started to say. “Shh!” Merri hissed, still crouched behind Mrs. Baker’s chair. “I’m not here.” Paige shook her head and set her comb down before stepping to the counter. “Can I help you?” Merri heard her ask. “I hope so. I’ve been told the owner of this place is the best in town. Is that you?” Merri knew that voice all too well. Although it had deepened and matured slightly, the sound would never leave her.